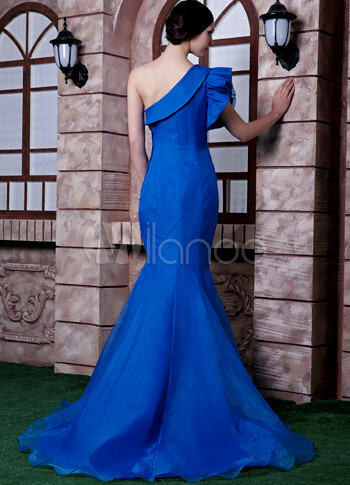 Some gowns were specifically created to make a lasting impression. This one is a perfect example. It features a stunning one shoulder bodice with a beautifully pleated sleeve and beaded applique embellishment on the hip. The bodice hugs your body until well past the hips where the mermaid-style skirt flares out, creating a lovely train in the back. A gorgeous gown for when there's no second chance to make a first impression.